Dry red Texas-grown table wine that continues our tradition of innovative blends. 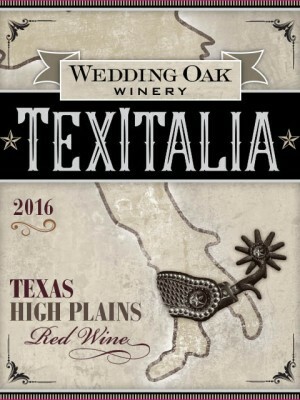 Blend of predominantly Italian red grapes from the Texas High Plains. This place is an unexpected gem, unpretentious in a friendly town where people learning the names of seasonal visitors and deer hunters is the norm. The wine however suggests something far more than fancy. I have visited many wineries - in California as well as Texas - but have never had such an enjoyable tasting experience as what I've had here. 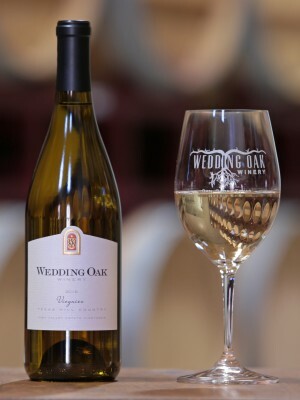 While I have historically bought a bottle or maybe two at some wineries (sometimes out of sympathy), my first tasting at Wedding Oak made me want to buy multiple bottles each of several different varieties - white and red. My recommendations: Terra Blanc, Terra Rouge, Regency Bridge Red, Tioja (the absolute best), Sangiovesse, and Tempranillo. First, the wines are amazing. I have not tried one that I didn't like. I may or may not be biased towards the Albariño lol (super good, my fave). Also, the service.......best service ever. We've been to so many wineries and this one (and the one in Fredericksburg) gives the best service. These guys sure know how to treat wine members. I really hope this winery keeps this family attitude, because I will be a forever wine club member. Love this place. The atmosphere is relaxed and welcoming. We sat out in their patio area. She recommended a wine they have that beer drinkers usually like, and she was right. Go there almost every time we are in San Saba. We went as a couple, but would be an awesome place to hang out with friends. We love this winery. They have a number of dry white wines, which we prefer. The tasting room is lovely and there is a very nice back patio where you can drink a bottle of wine and order food from area restaurants. We went to the Valentine's Day dinner and loved it. 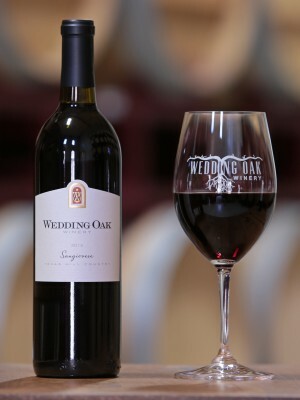 Great live music, several delicious courses paired with different Wedding Oak wines. We joined as members about two years ago and will maintain our membership in the years to come. Also, check out their incubator, Old Man Scary Cellars, just next door. 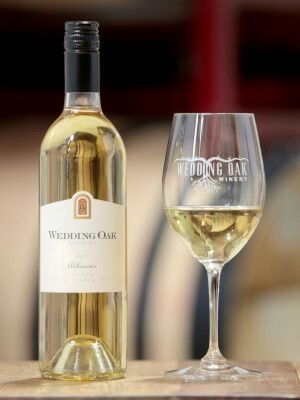 What is the relevance of the name Wedding Oak? The name comes from a 400-year-old tree about a mile north of town. Legend is that settlers and Indians would marry under the tree. Where is your tasting room? What styles of wine do you make? We take cues from classic old world wine, blending complimentary grapes and using minimal oak aging to let the grapes express their true qualities. 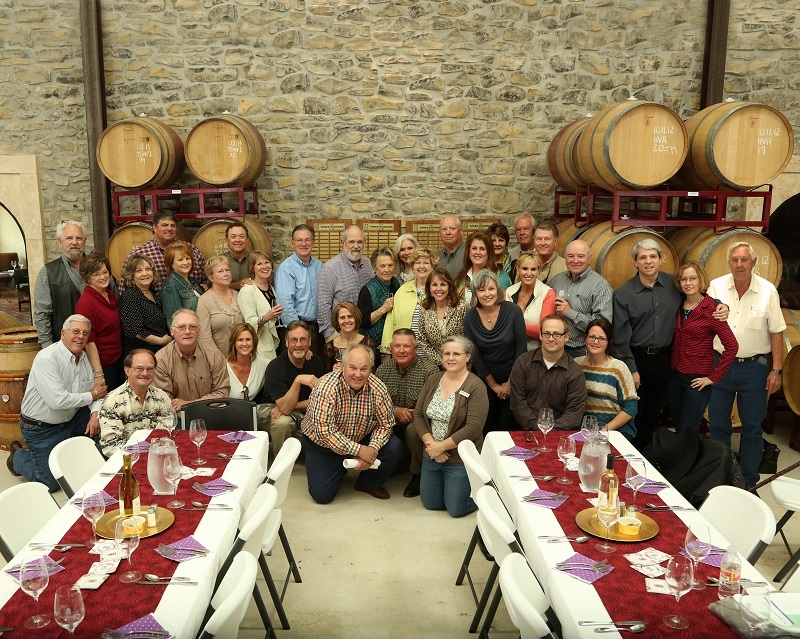 We are proud to have a broad portfolio of 100% Texas grown wines.